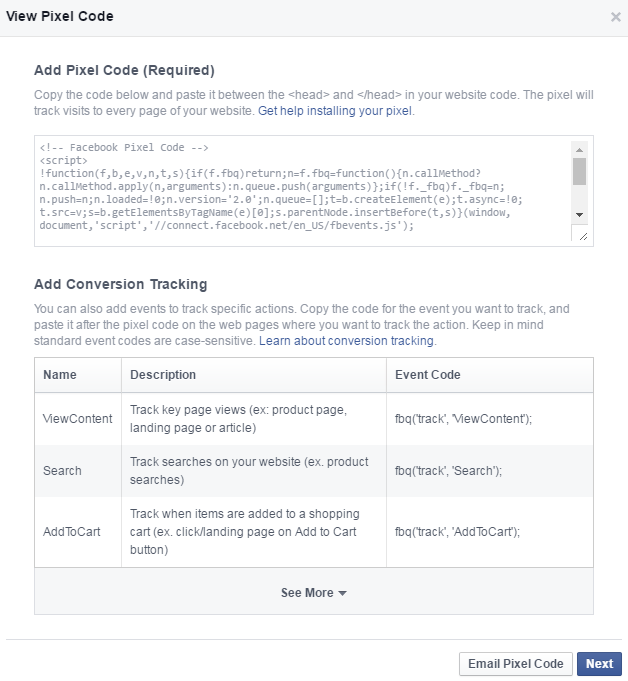 The Facebook Tracking Pixel can be used for three main functions: optimizing ads for conversions, tracking conversions, and building Custom Audiences from your website for remarketing. It’s ideal for having in place before you start running Facebook campaigns, so you have all tracking and optimization options available to you. 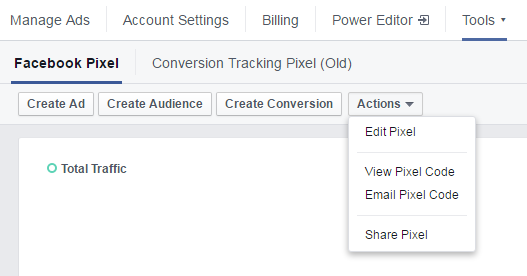 To create a Facebook Tracking Pixel, you need to be in your Facebook Ads Manager account. Click on “Pixels” from the drop down menu under “Tools”. When you create your pixel, you’ll want to make sure you name it appropriately. You should probably name it after your website. You will then be shown your Pixel Code. Copy and paste this into a .txt file for later, or you can choose to have your pixel code emailed to you. To add the pixel to your website, take the code and place it between the <head> and </head> tags in the code of the webpage that you want to track conversions on. 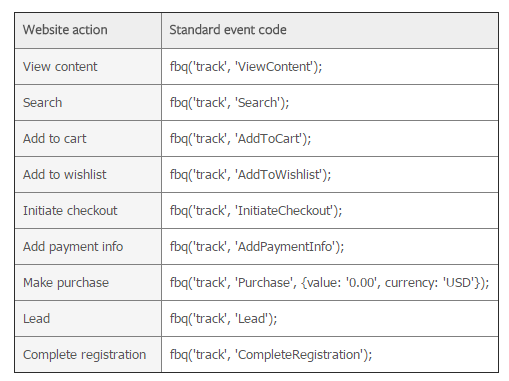 You need to install the pixel code onto each page you want tracked, with the proper code customization per event. For complete instructions on pixel installation and customization, see Facebook’s Learn How page. You can edit, view, email, or share your pixel at any time by returning to the “Pixels” page under “Tools”. After installing your pixel or event pixels properly on all of your webpages, you’ll be able to apply it to your campaign setup.